Bidon..."it’s incumbent upon marketers and their media-buying partners to clearly articulate and discuss specific business goals"
After a torrid time last year for the digital media industry, and GDPR now on the statute books, this is the first Cannes in what we might call the post-transparency world. 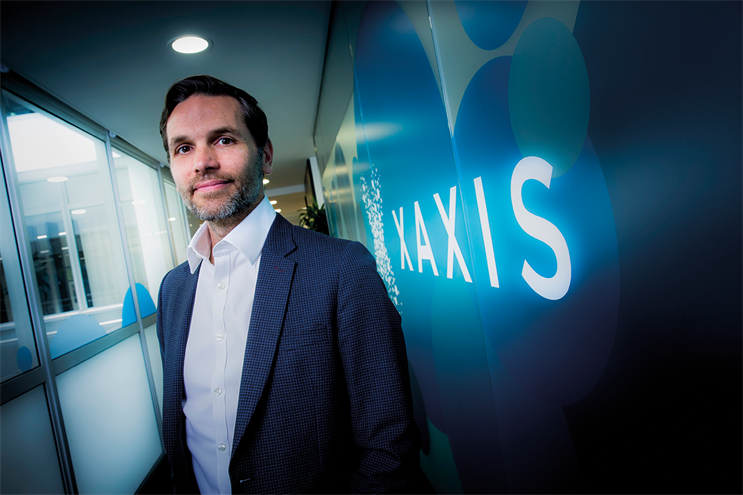 At Xaxis, we’re more convinced than ever that outcomes-based media is where we all need to shift to drive value for advertisers in that new world. First, let’s define what we mean by that: for us, outcomes are digital campaign results that align directly with our clients’ true marketing and business goals. It means working closely with our agencies and their clients to jointly define custom success metrics that directly connect with their objectives so that every campaign delivers meaningful results. And it means planning and optimising campaigns with a total focus on those metrics. This kind of thinking can be an adjustment for an industry that is used to spending millions of media dollars based on measures such as CPM or CTR, which are more than 24 years old and take us back to the days of the first AT&T display ad on Wired.com in 1994. Those metrics carry a presumption that, if you pay the right price for fraud-free, viewed impressions, to the right audience in the right environment, you’ll create enough "lift" or clickthroughs to generate more revenue for your brand. Each of those measures, though, is really a proxy for what is almost always the real goal: increased sales. Sometimes the term "outcomes" is conflated with "performance". Online performance marketing tracks clickthroughs that lead to conversions. A well-optimised performance campaign will ensure ad placements lead to cost-efficient and profitable clickthroughs. It can be a valid way of running a campaign. Today, though, aiming for a better kind of accountability is vital for marketers using digital, especially programmatic advertising, with billions of data points and decisions executed in fractions of a second. Sophisticated attribution modelling, econometrics, AI, and machine-learning, along with the right supporting technology and expertise, all help manage media towards serving strategic business goals, rather than just marketing precepts. Take, for example, a high-ticket durable item such as a set of living-room furniture. Clickthroughs on ads may indicate interest, but almost no-one will buy the furniture they’re going to live with for years by simply clicking on an ad. It’s inevitably better to optimise to a more sophisticated marketing mix proven to prompt more sales in the short and long term. Does the messaging, for example, need to focus on attracting showroom visits, newsletter subscriptions, or virtualised customisations on the store website? Each of these metrics can be individually weighted for importance based on the retailer’s data-informed knowledge of which actions most assuredly trigger sales, and in what sequences. Doing this will ensure that subsequent online campaigns can be optimised towards driving the specific outcome of the retailer and maximise return on adspend over the short and long term. It’s incumbent on marketers and their media-buying partners to clearly articulate and discuss specific business goals, how these outcomes will be measured and what marketing mix will help achieve them. A recent report by the Economist Intelligence Unit, which we commissioned, noted that brand managers are demanding well-executed, data-driven programmatic advertising that makes a measurable contribution to their company’s bottom line. By focusing on strategic business goals and using econometrics, attribution modelling and a wealth of expertise, we can finally deliver on the long-held promise of making marketing budgets truly accountable. We can create proven value for companies that invest in digital media while making advertising more relevant to and welcome for consumers. Those are outcomes any advertiser should be glad to see.